In case you’re wondering, you did read that headline correctly. Although Consumer Reports said earlier today that it couldn’t recommend the iPhone 4 because of the antenna issues, the device still topped the list of smartphones. According to John Paczkowski at AllThingsD, Consumer Reports latest ratings rank the iPhone 4 in the top spot. The iPhone 4 scored 76 out of a possible 100 points in the ratings. The nearest competitors were the iPhone 3GS and the HTC Evo 4G, which were two points behind. 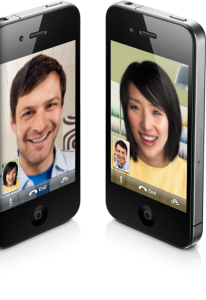 The iPhone 4 was apparrently given an excellent rating for display, navigation, Web browsing, multimedia and battery life. It also received a very good for phoning and messaging and good for voice quality. Just 10 days ago, Consumer Reports said the antenna problems Apple is facing aren’t unique. “Indeed, all cell phones, from the mightiest smartphones to the most basic flip models, must consistently overcome a major communication obstacle,” wrote Consumer Reports at the time.